Looking for a magazine to give you the latest fashion, finance and lifestyle information. 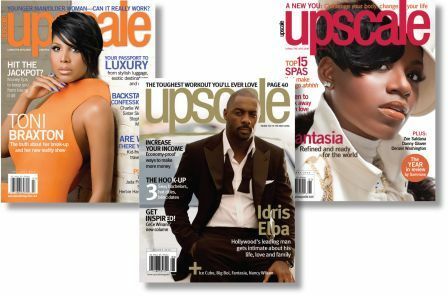 Look no further, Upscale has been doing that for 22 years and now they are making it even more convenient for you to stay up to date with the latest news and trends. Recognizing the newer ways readers are consuming information Upscale has gone digital. Keeping in step with being "what successful people read" they are offering Life As I Know readers an Upscale Prize Pack!! And everyone else who subscribes can get an additional discount!!! To enter this giveaway, please leave a comment below with your favorite section of Upscale magazine. 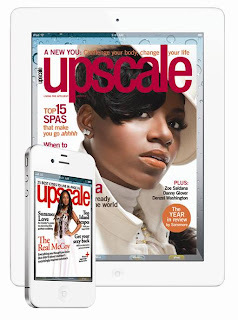 For additional entries follow me on Twitter, and tweet: "I want to win @UpscaleMagazine prize pack from @slhayesdesigns! ": One winner will be chosen via Random.org on August 28, 2011. Disclosure: I was given a Upscale Magazine prize pack for review in exchange for providing readers information on Upscale magazine and their new discount offers. All opinions are my own.